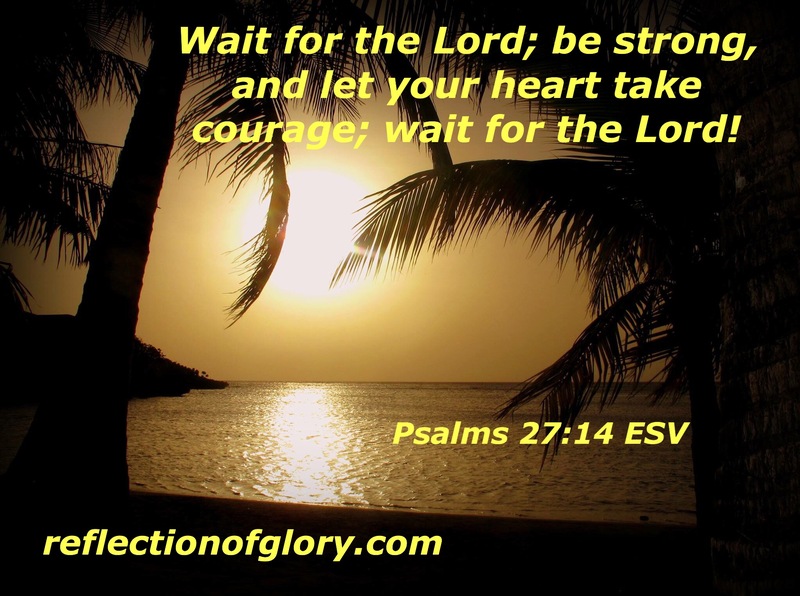 WAIT FOR THE LORD! | Reflection of Glory! As my friend and I were talking on the phone today, we both were discussing how important God’s timing is in our lives. It is so easy to rush ahead when we are anticipating what God is calling us to do. It is so easy to try and make it happen under our own power. There are also things we have been praying for – perhaps for years! Beloved, don’t give up! Don’t be downcast! Let your heart take courage! Be strong! Wait for the Lord! !